If you’re in the oilfield, gas, or petroleum industry in the Permian Basin, you’ll need a dependable motor and generator company for all of your sales, repair, rebuild, and rewind needs. That’s where BJ Electric Motor Services comes in. We have over 30 years of experience in the industry, which means we know exactly what your business needs to keep production going. We’re also one of the few members of the Electrical Apparatus Service Association (EASA) in Texas! 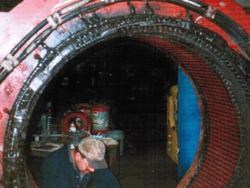 When your industrial motors are on the fritz, trust the team with the proper knowledge and experience to get it back on track. 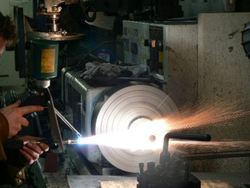 We also repair and sell industrial generators designed to withstand the often taxing conditions your industrial oilfield, gas, or petroleum company involves. You’ll never have to worry about a lack of power or a faulty switch with BJ Electric Motor Services on your side. Don’t forget! We ship these fine brands within a 100-mile radius of the Permian Basin for your convenience. Take a look at the positive feedback from two of our satisfied customers. We appreciate your kind words, and we’ll work hard to maintain our dependable reputation for quality service. If you would like the same experience when you need an industrial motor or generator, call us at BJ Electric Motor Services! Whether you work in the oilfield, gas, or petroleum industry, you need reliable industrial motors and generators. 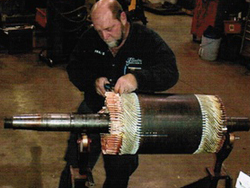 For service, repair, and trustworthy sales of the top products in the industry, turn to BJ Electric Motor Services!